Welcome to LifeSafer Customer Support! We’re here to help you stay on the road. Our support section will provide you with everything you need to make a success of your ignition interlock program. 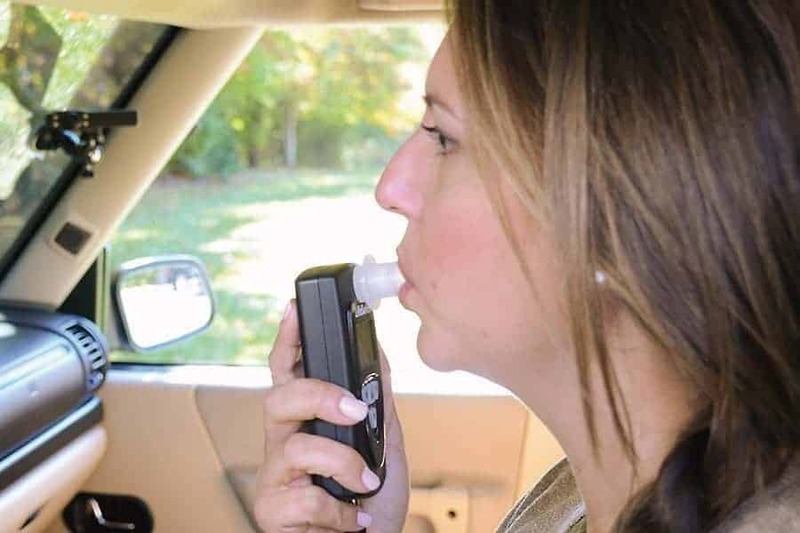 All your questions about ignition interlocks answered. Got a problem? Here’s where to find the solution. These helpful how-to videos will show you the ropes. An easy quick-start guide to ignition interlocks. Go here for the latest manual for your device. Yes. Most alcohol impaired driving offenders choose to drive illegally with a suspended or revoked license. An Interlock Program provides a control mechanism to prevent them from driving intoxicated. The primary goal of an interlock program is to protect public safety. This is accomplished by having the driver pass a breath alcohol test before starting his or her vehicle. Today’s technology makes it virtually impossible to trick or fool the Interlock. The device will prevent the vehicle from starting unless an acceptable breath sample is provided. Studies indicate that ignition interlocks reduce recidivism by 50-90%. All your ignition interlock paperwork, including court documents and any notices or forms from your state licensing agency. Photo driver’s license: The name on the driver’s license must match the name of the person installing the interlock device. 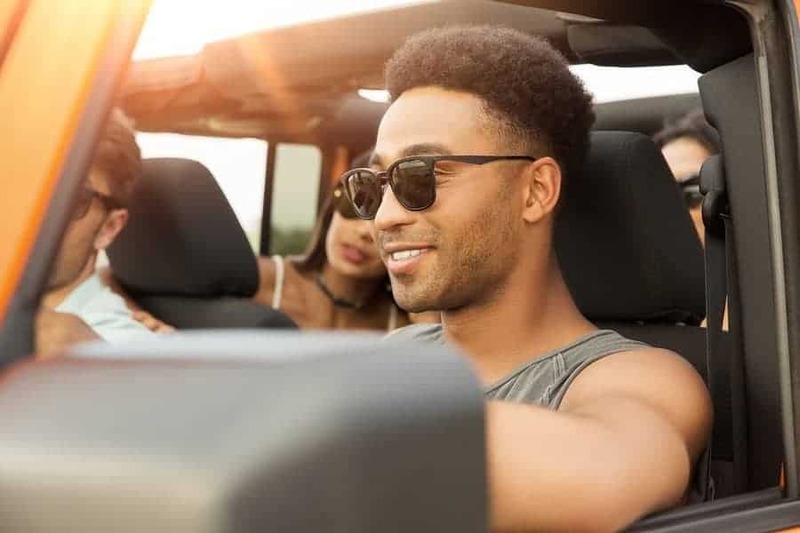 If you are not the registered owner of the vehicle that will have the interlock device installed, make sure you have a notarized letter from the registered owner that allows for the installation. Can a vehicle be "hot wired" to start without a breath test? Can the ignition interlock device be installed on a motorcycle? No, we do not install our device on motorcycles. Yes. LifeSafer service providers will train other users of the vehicle at no additional charge. However, please note that anyone driving the vehicle will need to use the interlock and you will be responsible for any violations. Can someone else take the test for me to start the vehicle (i.e. "curb service")? Will the "running retest" requirement cause me to take my eyes off the road, creating a hazardous situation? No. when the interlock device signals for a running retest, you have a few minutes to provide the sample or to pull over to the side of the road in a safe area to provide the breath sample. There are no buttons to push; you must only breathe into the unit to complete a breath sample. What happens when my interlock-equipped vehicle needs repair? No. The unit has a back up lithium battery to protect the data log in memory. No. Proprietary software and a special interface connection is needed to communicate with the device. Does installing the interlock make any permanent change to my vehicle? No. Experienced LifeSafer service providers will professionally install the system, and when the device is removed the vehicle wiring will be securely restored to its original condition. If I get stranded and I think the unit is causing the problem, what can I do? ¡Si! Service, training, materials, and technical support are offered in both English and Spanish. Driving under suspension without a required interlock is illegal. Not installing an ignition interlock that has been mandated by a court or DMC can carry serious consequences, including substantial fines, jail time, and possible felony charges. Your insurance will also go up. LifeSafer ignition interlock devices are easy to use, but if you do have any problems, this checklist should help you get back on the road fast. And remember, we’re always around to help – just give a call at 1-800-634-3077 and our professionals will answer your questions. The LOCKOUT light is glowing red on my device. If the LOCKOUT light is displayed, your vehicle will temporarily not operate because of too many fails or aborts. This temporary lockout will last for 2-5 minutes. When the message is cleared from your device you will be able to retest. Both the SERVICE and LOCKOUT lights are glowing on my device. If both the SERVICE and LOCKOUT lights are glowing, but NOT flashing, your vehicle will not operate and your device and vehicle are in permanent lockout. You are not able to test during a permanent lockout. You should call your service provider to make arrangements for your device to be reset. Both the SERVICE and LOCKOUT lights are flashing on my device. If you are past due for your scheduled program monitoring, or if you are in early recall, both the LOCKOUT and SERVICE lights will flash. The number of times the lights flash together in sequence equals the number of remaining days before the device goes into a permanent lockout. You should call your service provider immediately to schedule an appointment for service and monitoring. The WAIT light is staying on for a long time. The WAIT light may stay on for an extended period of time during cold weather. The unit will remain on WAIT until it has warmed up to operate properly. Ask the technician at your next service appointment about setting a warm-up time on your device to help reduce your ‘WAIT’ time. The POWER light keeps flashing and will not allow me to take a test. If the POWER light keeps flashing this indicates that your vehicle’s battery is weak or its voltage is low. The ABORT light is on after I breathe into the device. The ABORT light appears if an improper breath test was given. The device did not receive either the correct amount of air pressure and/or the hum tone that was needed. This is NOT a fail. Continue to test as normal. What is the address and directions to the location where my vehicle will be serviced? What do I need to do if my car needs a tune up or other service? If your vehicle needs an oil change or other routine service, nothing special needs to be done. 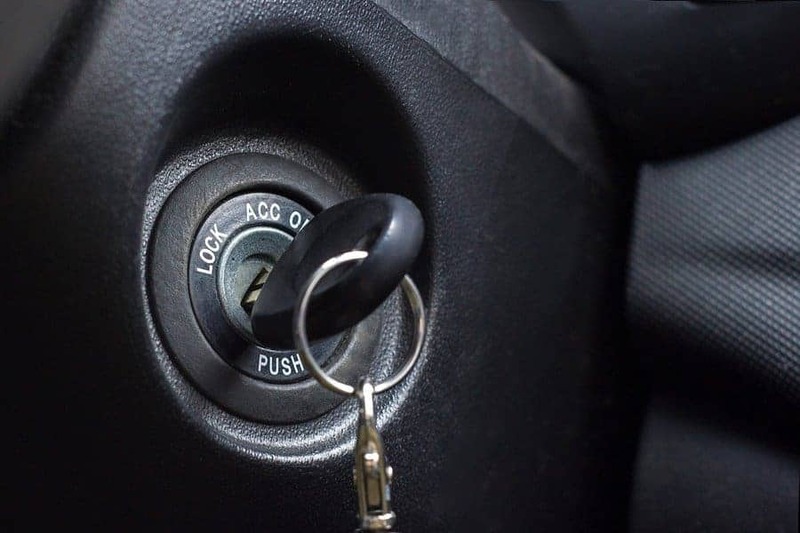 If the power to your interlock device needs to be disconnected during the service, you will need to obtain documentation before you have your vehicle serviced. Contact us for more information on how to obtain the documentation. What happens if I need to cancel my service appointment? If you cancel less than 24 hours before an appointment or do not show up for your appointment, you will be charged a missed appointment fee. What happens if I miss my service date? If you do not show up for your service appointment, you will be charged a missed appointment fee. Your vehicle will go into permanent SERVICE LOCKOUT mode and you will need to have your vehicle towed to the service location. Most jurisdictions are notified of a permanent SERVICE LOCKOUT. If you still have questions regarding your device or an appointment, call us toll-free at 800-634-3077. When you enter your vehicle, turn the key to the “on” position (do not start the car). When the device is ready, you will have one minute to blow into the device, or it will be necessary to start the test again. Relax and blow steadily into the device while humming a tone for 5 to 7 seconds (don’t worry – during installation you’ll be able to practice this). The device will emit a tone, indicating that you are doing the test correctly. 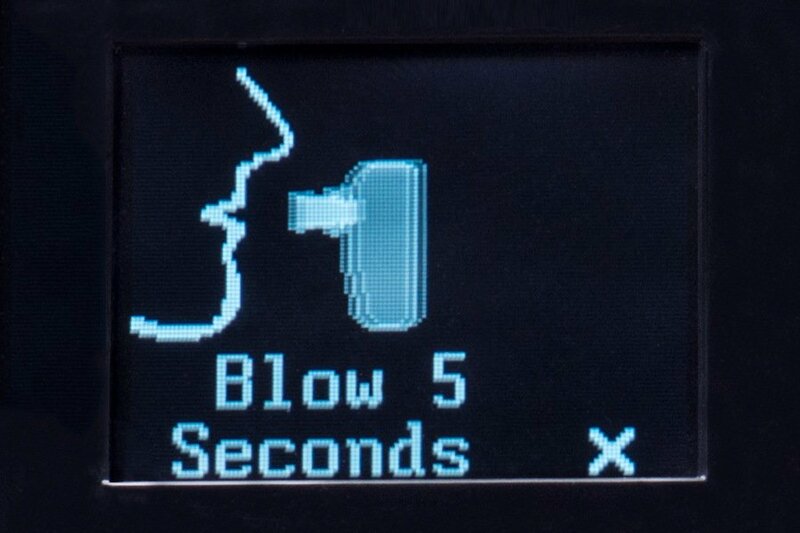 Continue blowing until the tone stops. A green light “Pass” will flash and another tone will sound, indicating that you are done. When the green “Run” light flashes, you can start your vehicle and drive. The device will stop flashing and display a solid green light while you are driving. Most people will find the answers they need in our Support section. But if you need more answers, don’t hesitate to call us anytime — 24/7 — and our knowledgeable customer service staff will be happy to assist you in getting back behind the wheel, legally and safely. Need a handbook for your LifeSafer ignition interlock device? They’re available here to view or print.